The con season is off to a brilliant start and NerdLush spent this Easter weekend in sunny Anaheim wandering the halls of WonderCon for the third year. Three significant differences from the prior years- a) rather than just going for Sunday, we went for all 3 days, b) rather than being only at the hall and otherwise being at home- we had a hotel room, and c) instead of just being fans, press, or otherwise wandering around innocently, I had been asked to be part of a panel on “The Psychology of Cult TV”. The latter piece will be covered in a separate post because honestly, I don’t remember much of it- my first panel… I was nervous! BUT! I have been told it (and I) was very good. And it felt pretty awesome. 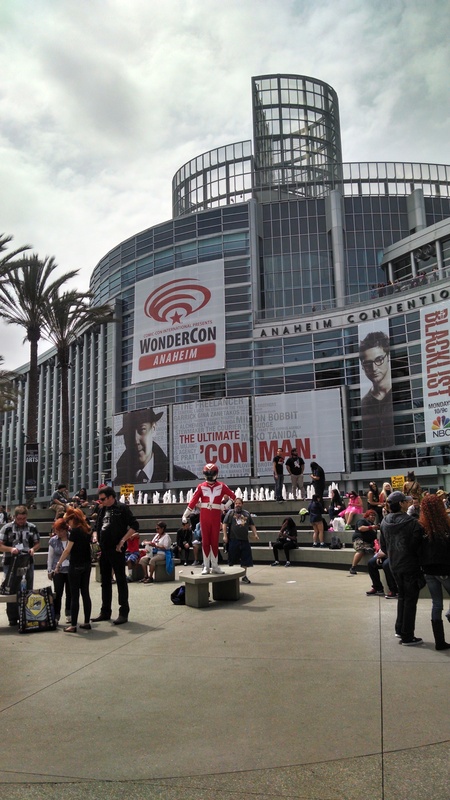 This is the third year WonderCon has been in Anaheim, having previously been in San Francisco. As I understand it- this is the first year the convention has been a sell-out success in Southern California. Not that it hasn’t seen good crowds but… this year was fairly insane. Admittedly, having only gone for one day previous years it is hard to judge but… there were so many people (I heard 40,000 a day)- it was difficult to walk sometimes, and the outside areas were difficult to navigate at times due to the number of people using the space to hang out or for photo ops. Let’s put it this way- if you have anxiety with people, WonderCon is no longer a place you will ever be comfortable. And do not get me started on the parking! One thing very different from previous years is that as I was leaving home to head to Anaheim my felt James Gunn plushie arrived and upon picking up Charity, it was decided that “Felt James” would have adventures. 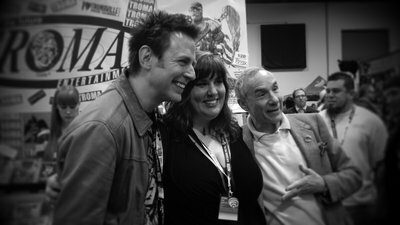 I first met James Gunn at Wondercon in 2012, so it seemed fitting. The adventures occurred all weekend and were shared via instagram and twitter. Later Friday afternoon, I felt bad about possibly spamming James Gunn, as I had tagged him in every post- so I apologized. Only to find he was liking and sharing some of the posts. I had a chance later to ask if he would be at WonderCon at all (it would be cool to get a pick with Felt and Real James, right?) and he stated, “unfortunately only in felt form”, so I promised to continue the adventures and hopefully do him proud. To be honest, it was a lot of fun thinking of and finding the right photos for Felt James… I think he will definitely be adventuring with us in the future. I wonder if he likes Yosemite? Cosplayers were everywhere. Which was, as usual, quite fun- especially having the chance to see some of the amazing creations some fans put together. The biggest problem is that when people want to take pictures of cosplayers, they (and the cosplayer) do not think of anyone else. What I mean is… they tend to stop wherever they are (usually in the center of a walkway) and drop their things to pose. This is fine and dandy except for the part where there are tons of other people who are trying to walk down aisles and see into booths who now have to wait until they finish. All I ask is that cosplayers and the fans/people who want to snap a photo take a moment to step out of the way before stopping to pose. A little consideration of others will keep the crowd moving, and lower the irritation of others. Oh… and also, please… if you are cosplaying and you plan to wear the same costume for more than one day- please clean it over night or at least Febreze it! What else is important to talk about? 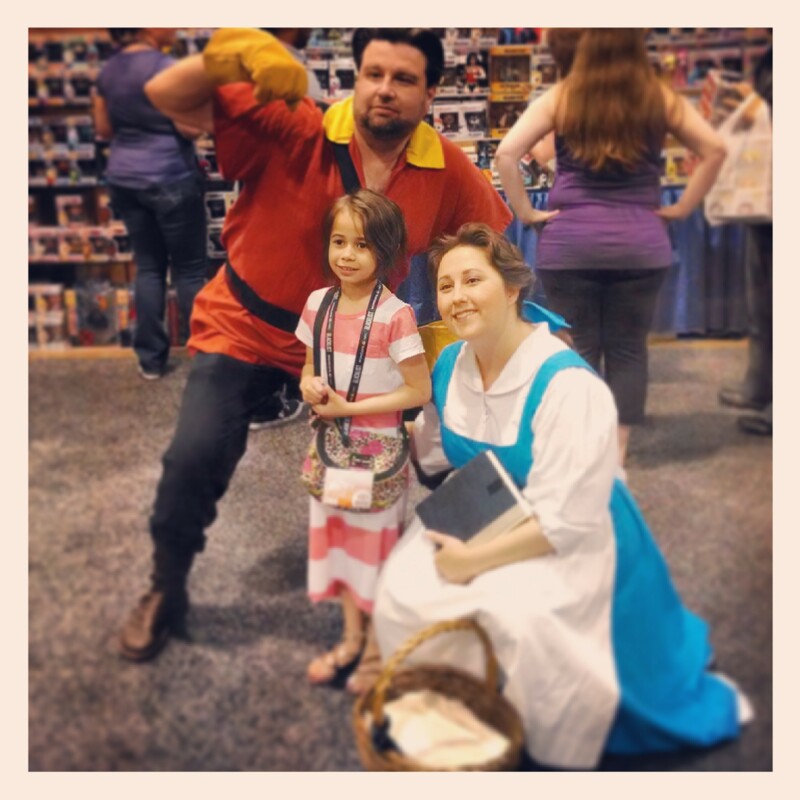 Look, this is not the WonderCon writeup for big news releases… I prefer the more personal experience of wandering the exhibit hall and meeting with creators and fans over fighting to be anywhere where the news exclusives were to be found. another mission complete! Jane Espenson! 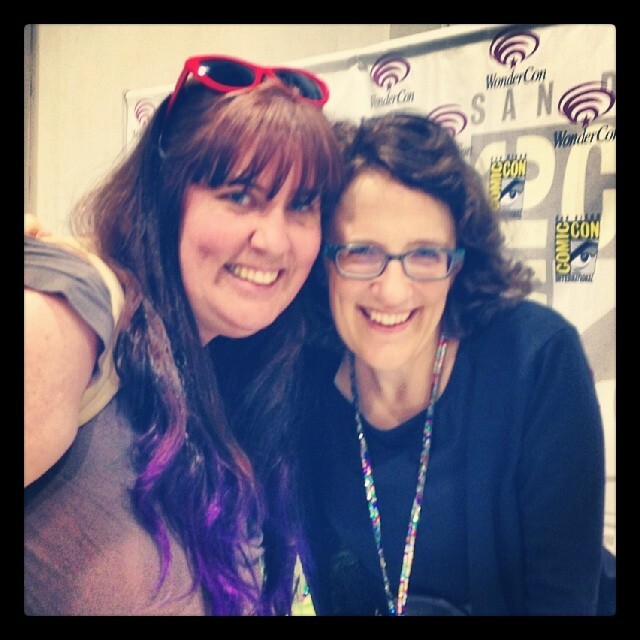 I finally got a picture with Jane Espenson (this was another multi year mission of mine… started after a quick chat following one of Tom Lenk’s performances and my failing to grab a pic and then failing every other time because I hate bothering people when they are on their own time…). I feel like I am tying up loose ends by completing these photo missions (i.e. the recent John Barrowman hunt). I also had the chance to catch up with some friends from the Long Beach Comic-con, Wes Huffor and KC Murdock… though for too brief a time. Briefly saw Yuri Lowenthal and Tara Platt on Friday, which is always a good time. Got to spend some time with Dr. Travis Langley- he should be one of my mentors, honestly- who wrote “Batman and Psychology”. Also had the chance to make new friends- David Derks and Joe Ochman. And I got to chat- much too briefly, I’m sure- with many lovely people who came up to me after the panel on Saturday and until I left WonderCon on Sunday. If anyone is new to the site, twitter, Facebook, or instagram page because of that panel- welcome. Thanks for joining us. I had no intention to make any purchases at WonderCon (does anyone?) 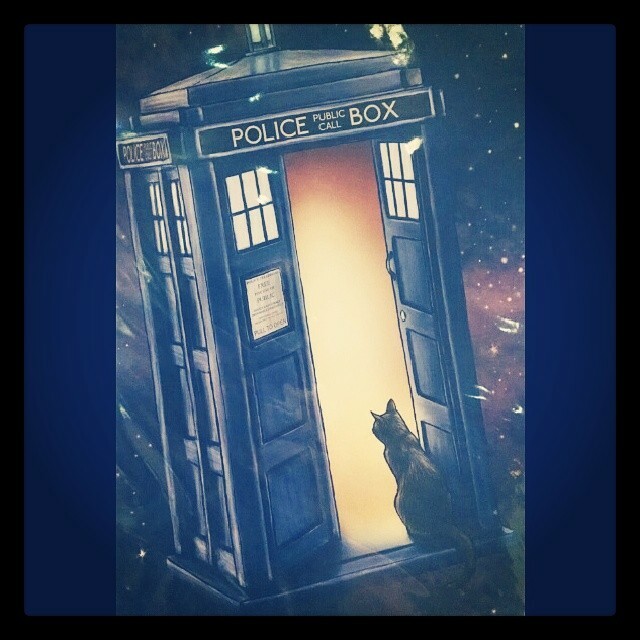 but I found several books that interested me, a Coulson funko pop, a birthday present for our Emily, and a beautiful print that spoke to me as an homage to a lost friend. It’s always interesting to walk through the exhibit hall and look at the creative pieces people have made. I’m excited to display some of my finds. It was a wonderful weekend of geekery at WonderCon but I am glad to be home… I’m seriously considering not moving for the next several days. Which is still better than con crud!